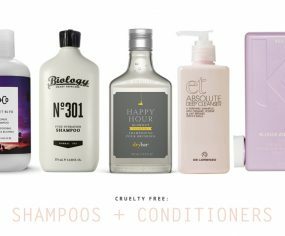 We’re all trying to go non-toxic these days with our home and natural pet products these days, but do you ever catch yourself thinking that ‘Natural’ products are inferior to their counterparts? Time to stop right there! The fabulous new natural pet product range, Wondercide, is 100% non toxic and 100% effective in ridding your pooch and home of unwanted pests. They’re so good you may have even have caught them on Shark Tank this month! 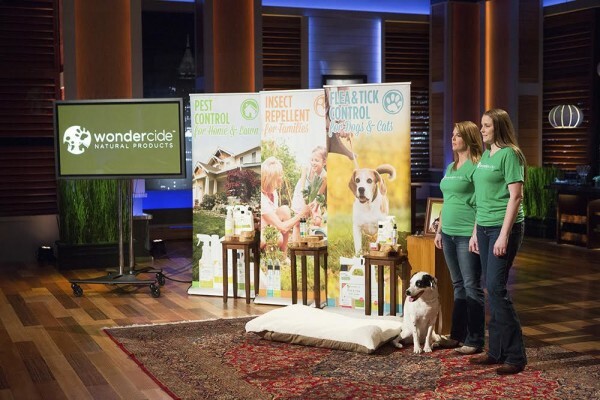 Consisting of a range of products – from interior and exterior home sprays, to pet sprays and grooming soaps – Wondercide is all about eliminating your home from unwanted critters like fleas, ants and mosquitos without any toxic nasties. First you treat your pet. 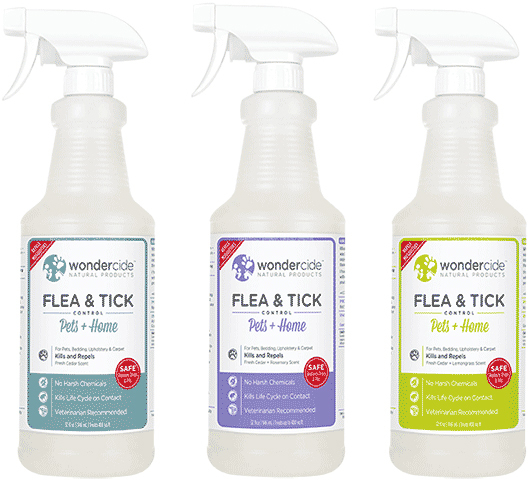 Wondercide’s Flea & Tick for Pets + Home is a powerful, non-toxic ￼￼ tick spray for dogs and cats. This pet-safe product kills fleas, ticks, and mosquitoes on contact, and repels future pests. Wondercide Flea & Tick for Pets +Home is effective on all insect life cycle stages, and its bio-based formula safely protects your pet without harmful chemicals. There you have it – pests be gone and no pups harmed in the process! Looking for more doggie goodies? Check out our Pretty Fluffy Shopping Guides. 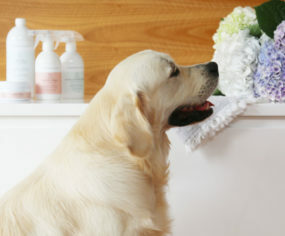 They feature only the best of the best vendors for the discerning dog owner. I will check this out. I am spending a fortune during the going to the vet for flea treatments for cats. I have been using Wondercide for 3 years now and am completely thrilled with it for my Shepherds, my home and myself!.This product really works!